Black cumin, which has the scientific name Nigella sativa and is known by its other names that include black seed, black cumin seed, black caraway, and Roman coriander, originated in south Asia. It was used by Middle Easterners as medicine some 2,000 years ago. As a matter of fact, Islamic prophet Mohammed reportedly said that black cumin is “the remedy for all diseases except death”. Black cumin can alleviate the symptoms of asthma, according to a study from the Mashhad University of Medical Sciences in Iran in 2007. The consumption of black cumin can also have a positive effect on addressing allergies like allergic rhinitis and bronchitis. 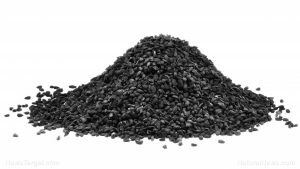 Black cumin is good for hindering the progression of certain cancer cells, such as that of breast, colon, oral, and pancreatic cancer and leukemia, according to researchers from the Thomas Jefferson University in Philadelphia, Pennsylvania. Type-2 diabetic patients can use black cumin to lower their insulin resistance and blood sugar levels and increase beta cell function. Black cumin can help treat dyslipidemia (the abnormal amount of lipids in the blood), hyperglycemia, hemorrhoids, and hypertension. Its anticonvulsive properties help manage the frequency of epileptic seizures, according to Medical Science Monitor. Black cumin can serve as an aid to improve memory, attention, and cognition, and can hinder the growth of brain tumors. It can lessen the damage to the brain caused by lead toxicity. It is also good for addressing minor ailments like headaches and back pain. Black cumin can be used to treat abscesses and herpes zoster. Its antibacterial properties can provide relief to people who are afflicted with infections that are caused by strains of bacteria that are resistant to antibiotics, such as candida, gonorrhea, influenza, malaria, staphylococcal, and malaria. It can also reduce the viral load in people who suffer from diseases such as Hepatitis C and human immunodeficiency virus (HIV). Long-time opioid users can turn to black cumin to stave off withdrawal symptoms. Black cumin’s medicinal benefits have been validated in 656 peer-reviewed studies since 1964. Black cumin can help protect the stomach via its anti-ulcer properties against Helicobacter pylori (bacteria that cause damage to the stomach), stomach mucosa (injury from inducing too much alcohol), and necrotizing colitis (injury in the small or large intestines). It addresses gastrointestinal issues such as diarrhea and dysentery. It is also good for preventing kidney injury. 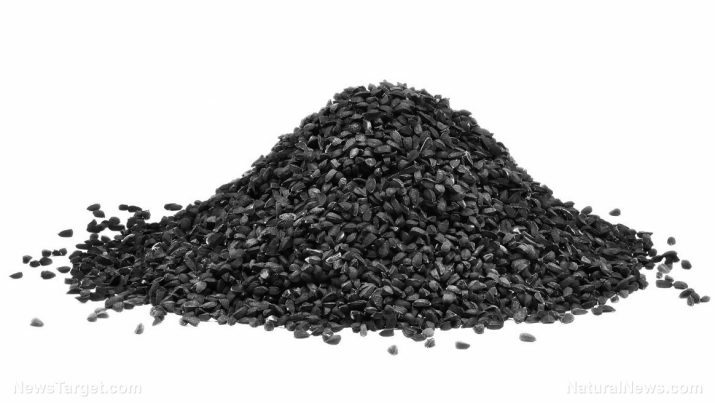 Black cumin can stave off the harmful effects of high cholesterol in the body. This includes reducing the hardening of arteries, thereby protecting the heart. Here is a black cumin recipe to brighten up your day. Black cumin can serve as an aid to improve memory, attention, and cognition. Black cumin can be used to treat abscesses and herpes zoster.